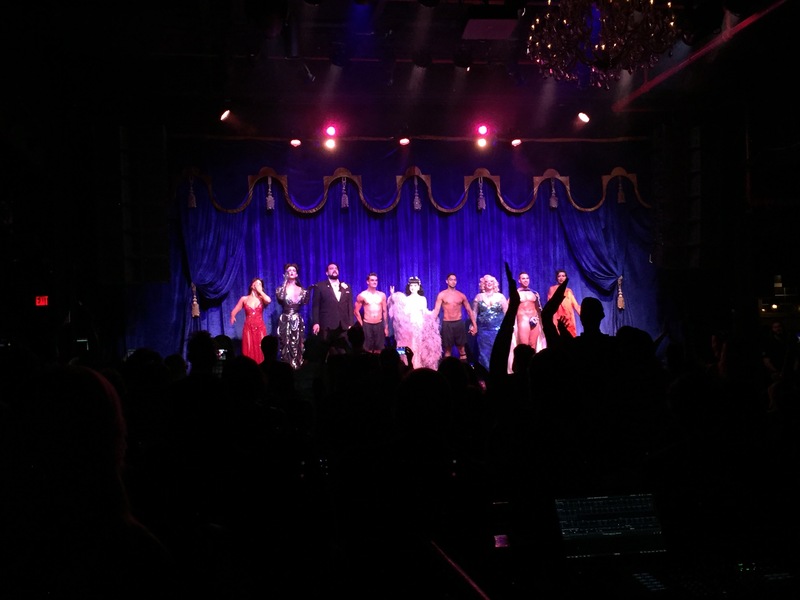 I have been eagerly anticipating Dita von Teese’s burlesque show the Art of the Teese since I bought tickets in June, and when I finally attended last Tuesday, it did not disappoint. The amount of detail and work put into the performances, sets, and props really shows, and no picture or video can capture how much all of the Swarovski crystals sparkle. The highlight for me was finally seeing Dita’s Canary gown in person. Made in 2010 by Mr. Pearl over a two year period, it is saturated with dangling crystals, embroidery, and hand curled ostrich feathers. It was featured in Dita’s CSI episode, “A Kiss Before Frying,” and was on display at the V&A museum in London. It’s one of countless examples of the love and passion that Dita and all of the featured performers put into the show. Lindsay Vandewart with 303magazine.com wrote a fantastic full review of the show covering all its glory that you can enjoy here, along with a picture gallery that does the performers more justice then my iPhone does. If you ever have a chance to attend a fully produced burlesque show, I would highly recommend taking it! I would definitely recommend seeing one! There is also a documentary of Dita’s show at the Crazy Horse in Paris, definitely worth watching. wow I looked at the link and the show seems fabulous. The costumes are amazing. A great post!